The title to this blog post is a bit of a ruse. There is no 'perfect résumé'. Perfect is in the eye of the beholder, and you never know who's going to be reviewing your résumé - recruiters, hiring managers, founders, admins, etc. Aiming for a 'perfect résumé' is a lost cause. Like most recruiters, I've read thousands of resumes over my career. Some great, some awful. Some memorable, some not. The key (in my mind) to a great résumé is one that's laid out in an easy to follow chronological order. A format reviewers can scan vertically from the top, and ascertain in the first 10 seconds whether there is enough relevant experience to review more thoroughly. Wait, isn't the résumé dead? There is a lot of chatter these days about the death of the résumé, that your 'digital footprint' or LinkedIn profile have made your résumé obsolete. This is (for now) a myth. The reality is while there are sufficient tools and platforms out there to allow hiring teams (in many industries) to make early stage viability decisions, most organizations are still managing through hiring apparatuses and workflows designed 5+ years ago, before some of these technologies existed. This is particularly true with large organizations, or those required to have compliance-driven processes. 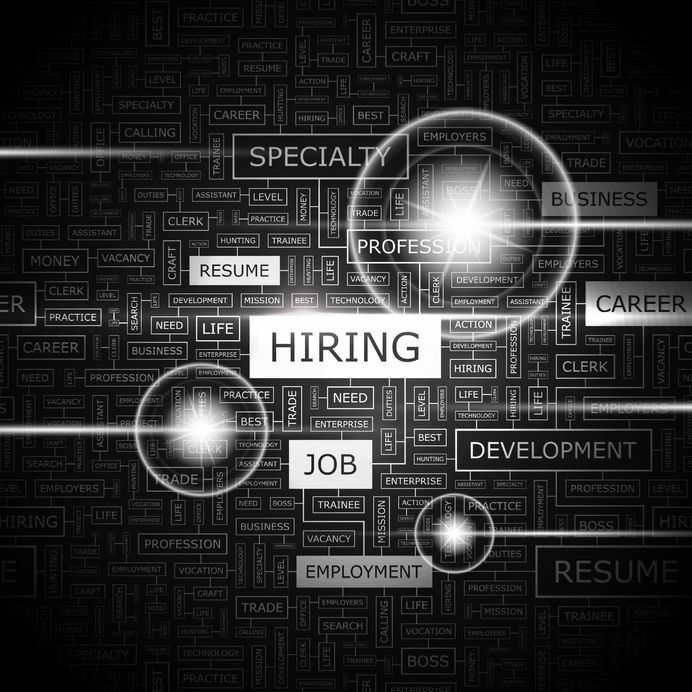 For now, resumes remain a necessity in most job searches. There are many blog posts out there advising candidate to load their resumes with keywords to get past keyword scanning tools some organizations have baked into their ATS (applicant tracking system). I personally don't put a lot of weight into these tools, but there are organizations that do. If you heed this advice, be sure the flow of the résumé is still logical, and doesn't read as if you're aiming for keyword density. You might get past the robots, but eventually a human will see and this and may be turned off if it's an obvious ploy to get past the robot gatekeepers. Much like "references available upon request", objectives have really lost relevance in the résumé. Reviewers are more interested in what you've accomplished, and how that experience can help them solve problems, not what your goals are (at least in the résumé review stage of the process). The objective is usually listed at the top of a résumé. This real estate is one of the first things a reviewer sees, and too valuable for something that won't distinguish your application. Consider replacing it with an 'accomplishments' or 'summary' section. More on that below. As I mentioned in the opener, opinions on resume formats are subjective. There are a lot of truths & myths out there. Below are some recommendations I usually provide when I'm asked to help a friend with a résumé. I'm using the beginning of my own résumé to illustrate some of sections. Length: Keep it to two pages. There are exceptions (serial-consultants), but generally speaking anything beyond two is too long. Versions: Consider having two versions of your résumé. One with static text throughout (for applying online or pasting), and a second version with hyperlinks that can be emailed. Hyperlinks (email, LinkedIn profile, articles, websites, etc) make a résumé more dynamic, and allow you to highlight additional information that can help a reviewer get a better feel for your background. Header: Keep your name, address, phone, email, etc to 2 lines if possible. Listing your contact info as a vertical stack takes valuable line space. Branding statement: This is not required, but I find a centered overview early in the résumé helps frame what you're about and how you'd like to position yourself to reviewers. Accomplishments/Summary: I usually advise including this section towards the top of your résumé, as it's one of the first things a reviewer will see. These sections are particularly valuable if your have meaningful/relevant experience that may be several jobs old. If great experience is buried three or more jobs deep, the reviewer may dismiss your résumé before getting to it. Typos/Grammar: Bad grammar and typos are a huge red flag to most reviewers, as it illuminates a lack of attention to detail, or worse, poor writing skills. I generally advise friend to use spell check, then send the updated version to at least one other friend to review before considering final. Experience: Results > responsibilities. A common flaw in most experience sections is that they're written as if copied and pasted from a job description. They define the duties, but not the results. Being specific about the result of those efforts helps reviewers better understand your impact in that role. Example: Led a cross-functional team of marketing and sales leads to re-develop Acme Co's sales pipeline workflow, resulting in a 20% increase in customer acquisition and $300k increase in revenue in FY13. Keep it fresh: Most people only think of updating their résumé when they're actively looking for a job. I recommend reviewing every six months. You never know when a great opportunity might come up (yes, I realize I sound like a recruiter now), so it helps to be ready. Also, it's a great way to do continual self-assessments, taking stock of what you're learning (or not), and having accomplishments you can highlight during performance reviews. Recruiters and hiring managers, please weigh in. What formats or tips do you like to see in resumes? Leave a comment with any advice or tips you'd like to share.